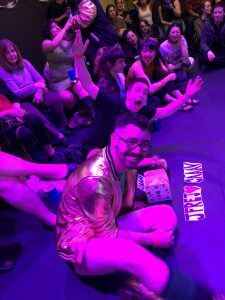 CAAAV’s Annual Karaoke Battle Fundraising Event! You are here: Home » featured » CAAAV’s Annual Karaoke Battle Fundraising Event! With the help of our donors and supporters, WE DID IT! We were able to surpass our goal of $15,000, and raised over $20,000! We weren’t allowed to bring in glitter or confetti but this did not stop teams from being creative and stepping up their costume game! The diversity in songs and energy from the performance was just spectacular! From the Ariana Grande performance to the loud and catchy “Maria Maria” the audience could not resist singing along to! 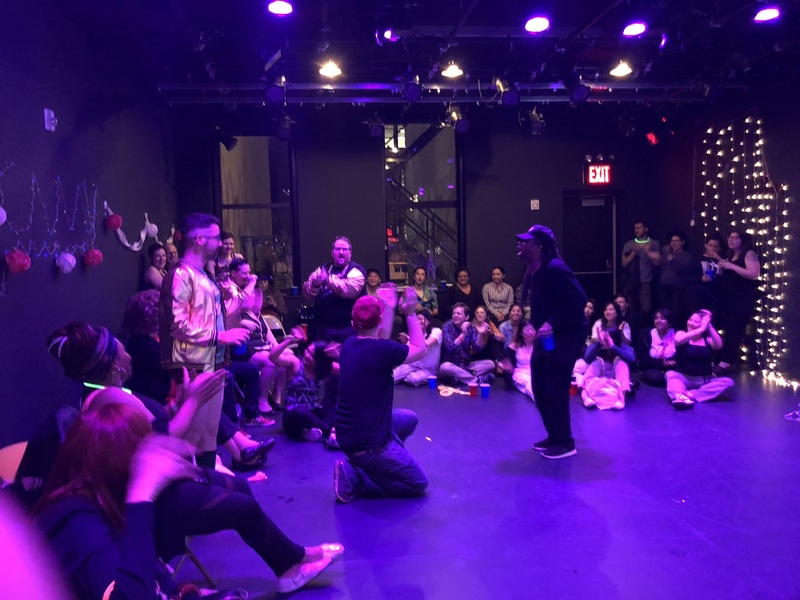 All in all, the Karaoke Battle event was not just about having fun and supporting CAAAV’s work, but also about supporting global issues like Palestine’s long-term struggle for liberation. A huge round of applause to our donors, supporters, and organizations who participated in the competition. We couldn’t of done it without you and your comradeship!